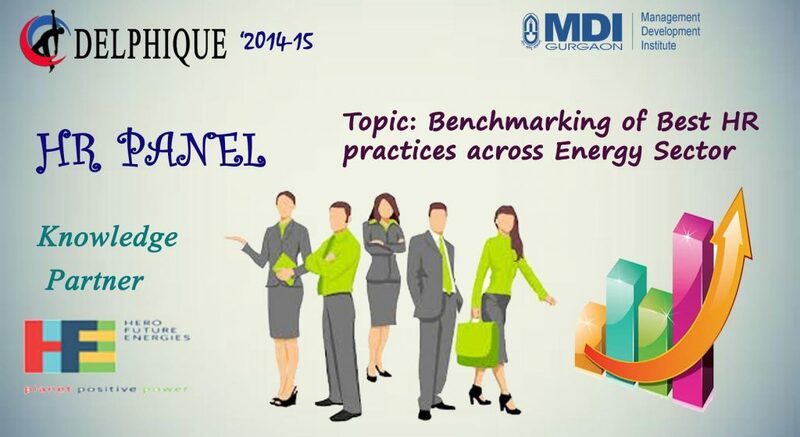 Delphique, the Management Convention Festival of MDI, Gurgaon, in association with Hero Future Energies (HFE) has launched a HR Research Panel. Hero Future Energies was born in October 2012. As part of the research, the team shall benchmark its HR practices across energy sector in order to get the best practices implemented in HFE. The benchmarking will be in its Human Resource Function across 6 areas namely Recruitment, Learning and Development, Reward and Recognition, Compensation and Benefits, HRIS and Organizational Structure. Ms.Bhawna Mittal, HR Head at HFE shall be guiding the research team for the project. The research objectives of this Panel is to study HR processes in Hero Future Energies, identify HR processes to be benchmarked and benchmarking partners, analyze the benchmarking partner’s processes to identify differences that accounts for superior performance and finally provide recommendations for Hero Future Energies based on benchmarking results. About HFE: HFE carries an illustrious legacy of the Hero Group; formed as a result of strategic decision of the Group to enter the domain of power generation from clean and non-polluting sources of energy. The young company is an Independent Power Producer (IPP) with growth plans to invest progressively in Wind, Solar and Hydro sector over the years. As the Indian economy continues its growth trajectory, HFE is poised to provide clean power to industries, businesses, educational institutes, nonprofits and governmental organizations at competitive rates. HFE will assist its clientele in fulfilling their Renewable Purchase Obligations (RPOs) by reducing their dependence on power generated by fossil fuels like coal, oil and natural gas.